The extremely safe Motor Protection Bag Universal stays intact even for heavy use. It can even deal with wet use. It protects the vacuum cleaner motor effectively and ensures longer use. 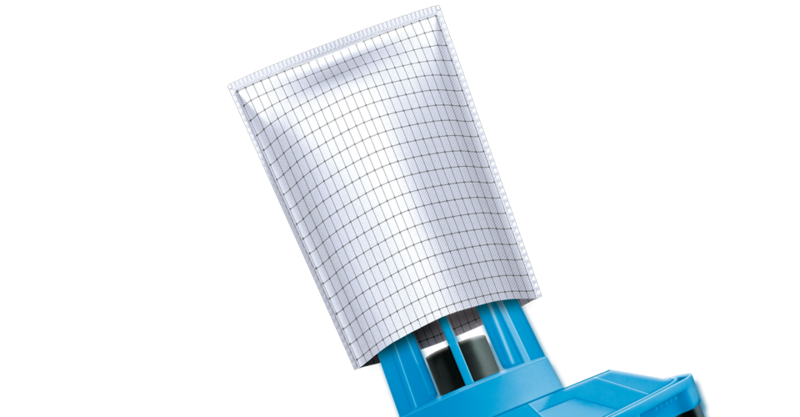 The Swirl® motor protection bag universal is a strong piece of work, for lengthening the life of your vacuum cleaner motor and maintaining its power. 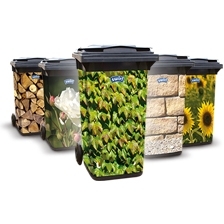 The non-woven material is durable, strengthened with PowerNet and for long life the seams are ultrasonically welded. 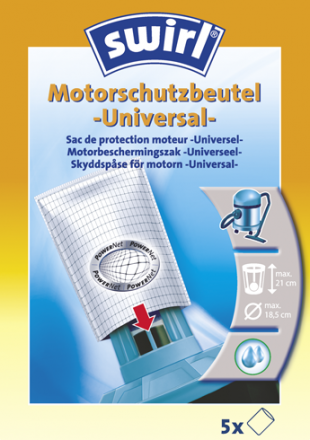 The motor protection bag deals with possible risks in wet use without any problems. Why use a motor protection bag? With wet and dry vacuum cleaners you need to remove the pleated filter for wet use if it is not made of waterproof material. Under the filter there is usually a so called float cage which is often too coarsely meshed to protect the motor from coarse dirt such as stones, nails etc. The motor protection bag from Swirl® is exactly right for this purpose: Just pull it over the float cage and fix in place with the enclosed rubber ring.